On the Spot Auto Glass - In need of windshield repair or replacement? On the Spot Auto Glass services all of Long Island and offers competitive pricing and a lifetime leak warranty! What will it cost? Get an instant quote now. "I am so happy with the job these guys did! They came to my house & replaced my front windshield quickly and professionally. They were nice and courteous too!" "Just got my windshield replaced by you all. Quicker and cheaper than every other place I called, very professional. I would definitely recommend them!" "I was told to expect service between 9-12, at 9 AM sharp your guys Mike and Greg were there. Not only did they work fast but there were clean and polite!" Did you know On the Spot Auto Glass offers free mobile service? Thats right, you dont even have to leave your home or office. On the Spot Auto Glass is conveniently located in Medford, NY just minutes from Exit 64 on the Long Island Expressway. We're making it easier than ever. 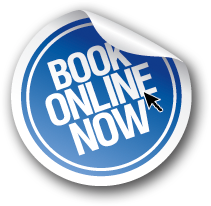 You can now book your appointment online! Always quick and hassle-free. 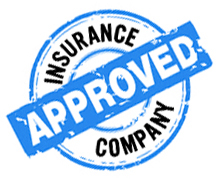 On the Spot Auto Glass is insurance company approved, which means no out-of-pocket cost to you.